The 42-year-old has been at second-tier Aurillac since 2011. IRISHMAN JEREMY DAVIDSON will leave Aurillac to join top flight Bordeaux-Begles as forwards coach next season, the French second division outfit said on Monday. The 42-year-old former British and Irish Lions lock had been at Aurillac since 2011. Davidson was previously forwards coach at Castres and then Ulster, two clubs he’d also played for. After five years in charge Raphael Ibanez is due to leave Bordeaux at the season’s end with former Italy handler Jacques Brunel taking over as head coach. How well do you know your Lions history? Email “Former Ireland and Lions second-row Jeremy Davidson to coach at Bordeaux next season”. 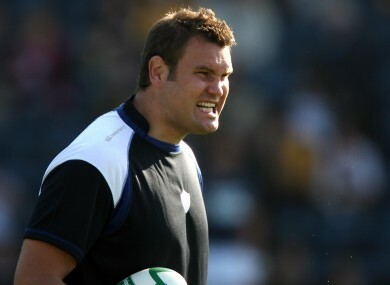 Feedback on “Former Ireland and Lions second-row Jeremy Davidson to coach at Bordeaux next season”.